A little something easy but super delicious as we get back into the groove. 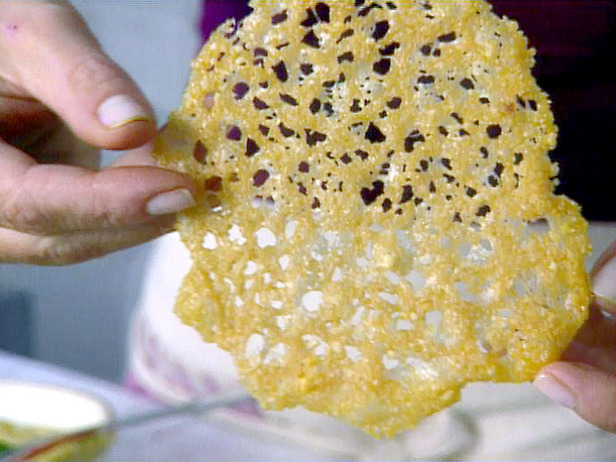 These parmesan crisps are so amazing and versatile. You can use them plain and flat as an appetizer, get creative, form them into cups and put in your favorite fillings or salsa, or even crumble them over salads. The easiest way I have found to form them into cups is when they are slightly cool, but still malleable, place them into empty egg cartons until crispy. My favorite thing is to fill my parmesan crisp cups with Caesar salad, super yum! Don’t forget to spice them up however you’d like. Make these for your next party or gathering. You’ll impress your friends because they look incredibly fancy, when in fact they’re extremely easy to make! Grate cheese on the small hole side of a 4-sided box grater into a small bowl. Using a tablespoon measure, place cheese in mounds onto a nonstick silicone pad or greased parchment paper-lined cookie sheet. Flatten out mounds with the back of a spoon, making sure mounds are at least 4 inches apart. Season with pepper, paprika, or cayenne, if desired. Bake on the middle rack of the oven for 5 to 6 minutes or until golden.